Stacey graduated in 2003 and obtained a Bachelor of Law Degree. Upon leaving university she gained a Postgraduate Diploma in Legal Practice at The College of Law in York. 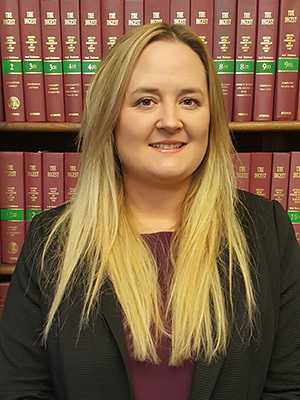 Stacey joined Bleasdale & Co. Solicitors Limited in 2007 as an Associate Solicitor and became a Director in January 2012. Stacey is the Head of the Matrimonial department and specialises in all areas of Family Law including divorce, separation, financial disputes, contact disputes and child care matters. She is also the Compliance Officer for Finance and Administration (COFA) for the firm.